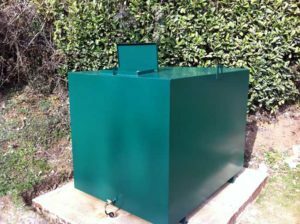 Oil Tank Replacement Herts – Oil tank installation and 24 hour emergency service for home and business in Hertfordshire: Hemel Hempstead, Stevenage, Watford , St Albans, Bury St Edmunds and across Norfolk, Suffolk, Cambridgeshire, Bedfordshire and Essex. Our installation engineers are fully OFTEC trained and can deal with all new oil tank installations, relocation of tanks, replacement tanks and emergencies such as leaking or corroded tanks. We offer a wide choice of plastic and metal single skin and double skin bunded oil tanks from leading manufacturers such as Titan Environmental and QSS. We offer expert advice with full supply and installation of new plastic or steel tanks for homes, farms, business premises, offices or schools. Replacement of old, damaged and corroded tanks compliant with the regulations and environmental standards. Oil Tank Replacement Herts.- your local service. We offer Oil Tank repairs, replacement and installation in the Bucks area. Please call us Barnes Oil tank Services for a free, no obligation quote. We offer a complete oil tank installation service in Herts. and throughout Hertfordshire. We can offer any type of new oil tank, oil tank installation, sort out leaking oil tanks and remove your old oil tank. We are fully OFTEC accredited oil tank installation experts and will happily advise you on the best suited oil tank installation for your needs. We are an OFTEC registered company and offer a fully guaranteed service with 24 hour oil tank emergency help. Contact us for all your Oil Tank Installation questions in Herts.or the surrounding area. Areas covered: Hertfordshire: Hemel Hempstead, Stevenage, Watford , St Albans, Bury St Edmunds and across Norfolk, Suffolk, Cambridgeshire, Bedfordshire and Essex. Not sure on what type of base is needed? Bases should be constructed of sufficient strength for the weight of the tank and contents. Please contact us to discuss your needs.